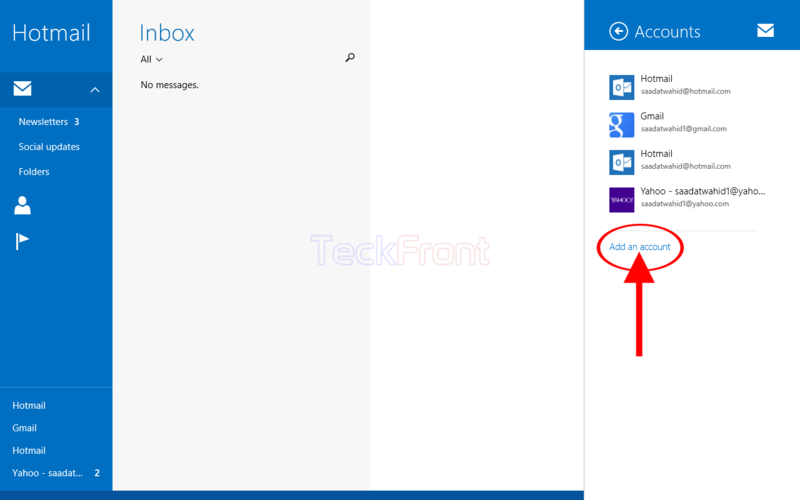 One of the unique features of Mail app for the Windows 8, 8.1 and 10 (till now) is that you may add many email accounts, using different platforms, yet in the same app. The platforms, offered by default, in Mail app are; Outlook.com, Hotmail.com, Live.com, Exchange, Google, Yahoo, AoA and any other account. 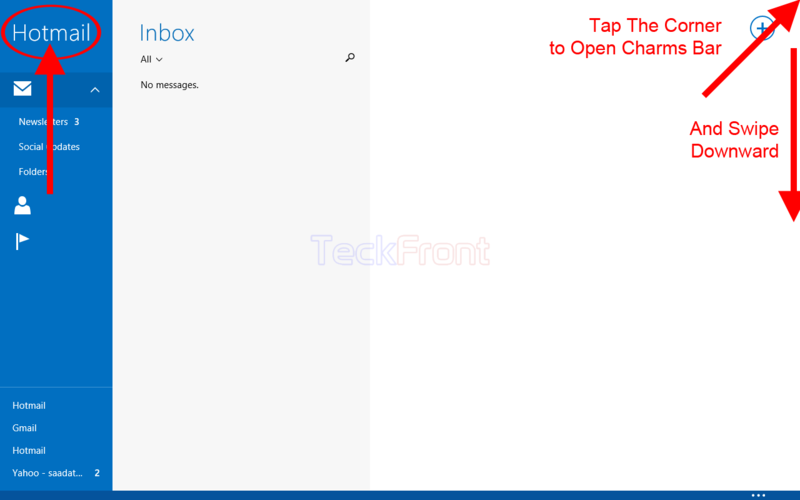 You may add any or all of the email accounts in the Mail app for the Windows 8.1 and Windows 10. To add an account is just a few steps process but if you feel any problem, please do not hesitate to see the instructions. 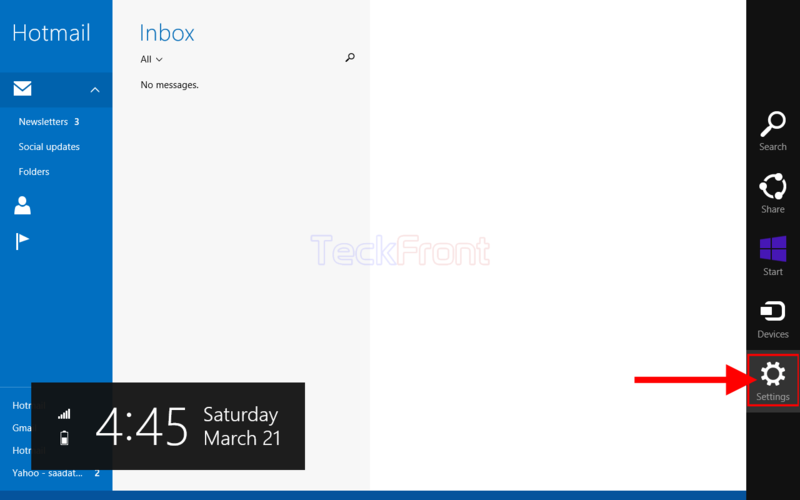 1: Tap the ‘Mail’ app tab at the ‘Start’ screen of the Windows 8.1. It will open up the ‘Mail’ app. 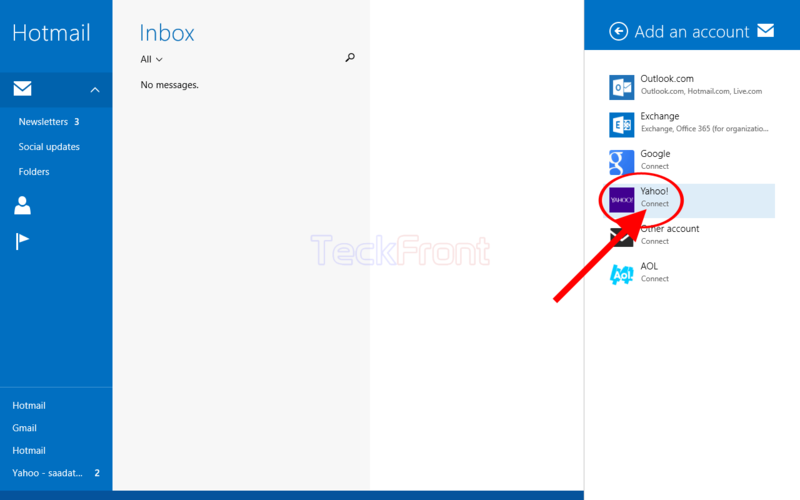 As the Microsoft email account was used for early configuration, the Hotmail account will be opened, at the start. 2: Tap the top right corner of the ‘Mail’ app screen and swipe downward to open the charms bar. 3: At the ‘Charms Bar’, tap the ‘Settings’. 4: At the ‘Settings’ charms bar, tap the ‘Accounts’. 5: At the ‘Accounts’ charms bar, tap the ‘Add an account’. 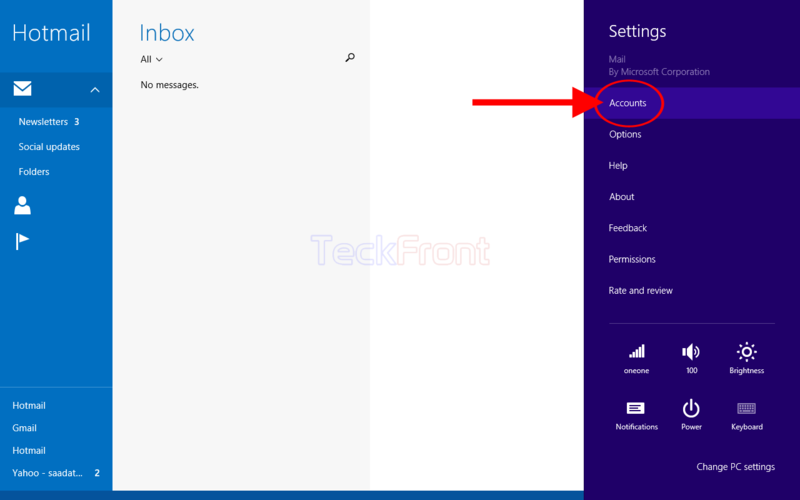 6: At the ‘Add an account’ charms bar, you may select and tap any email provider to add the email account of that platform. If you have already set an account for the purpose, on the said platform, then still you may add the additional account in the ‘Mail’ app, easily. 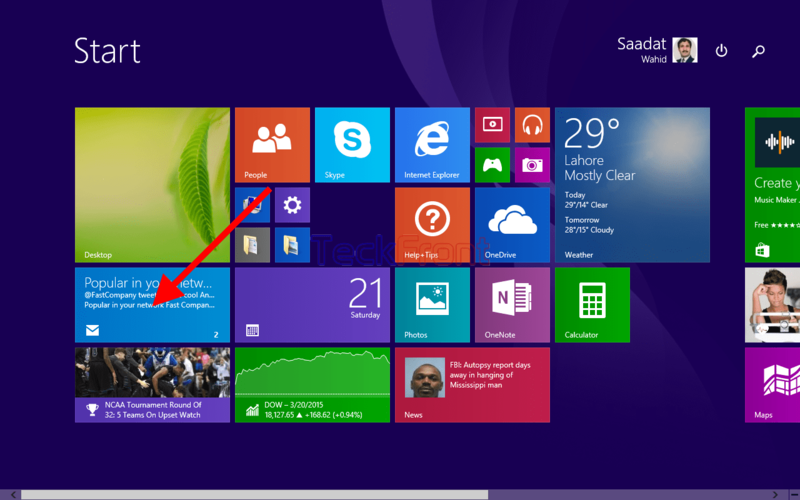 If you have not created an account, you may either go to the specific platform to create and account or go to the settings of the Windows 8.1 to create one. Newer How to Change to Video from Still Mode in Android 5.0.2 Lollipop Camera?